All walk-ins welcome. Today is our last day and the dresses get moved back into storage for next year! We can’t wait to see you! Hours are from 9 a.m. to 4 p.m.
We are thrilled to have you join us for this year's Cinderella's Closet Boutique! We encourage all girls to pre-register for an appointment to allow us to reserve your time with a Personal Shopper. Fairy Goodmothers does allow walk-in appointments. The best time for a walk-in appointment is from 2-4 p.m. each day. Pre-registered appointments will be given priority so walk-ins can expect a significant wait time, especially during the morning hours. 1. Please select an available day and time slot to reserve your appointment with a Personal Shopper and click the "Sign Up" button. Each appointment requires a unique email and name. You can expect your appointment from check-in to check-out to be anywhere from 45 minutes to 2 hours. 2. Please do not sign up for anyone else but yourself. Each girl must complete her own pre-registration form in order to have an appointment reserved. If you accidentally sign up for more than one slot or more than one person, please remove the unwanted appointment. If we notice a duplication, we will remove the second appointment. If you are helping a girl out with pre-registration, please use the student attendee's name for registration, not your own. This will help us at check-in. 3. Every girl may have 1 female guest. Given space constraints, your guest will wait while you and your personal shopper locate the perfect gown. You'll be able to model your dress options for your guest so they can help you pick out the perfect gown! 4. Get a confirmation email! Check the box that says "Send me a confirmation email with an iCalendar (.ics) file." to receive a confirmation email. 5. Fairy Goodmothers welcomes all. Please contact us at [email protected] if you have any special needs and we will try to accommodate them to the best of our abilities. We encourage you to share this information with family and friends who need a prom dress and accessories free of charge. Thank you! 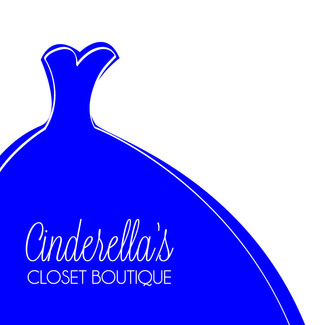 We look forward to seeing you at Cinderella's Closet Boutique! Pre-registration must be in the student's name in order to have an appointment reserved.